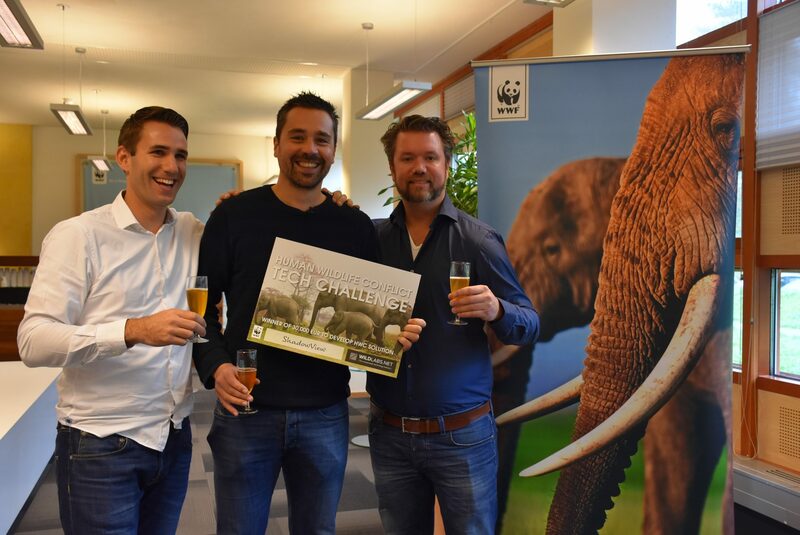 Rotterdam, The Netherlands | Wildlife conservation organisation ShadowView and British conservation technologist Alasdair Davies are the winners of the first international Human Wildlife Conflict Tech Challenge initiated by WILDLABS and the World Wide Fund for Nature (WWF). Each winner will receive €30,000 to further develop and field test their solution for human-wildlife conflict. WWF and WILDLABS set the Challenge in July to invite technology developers, engineers and nature lovers to find a new way to help minimise conflict between people and wildlife such as tigers, polar bears and elephants. Although there are a number of measures and tools in place to prevent human-wildlife conflict (ranging from the use of electric fences to deep trenches, chilli bombs, bees and fire crackers to flashlights), they are not effective enough. In India alone, 1,200 people lost their lives in clashes with wildlife between 2014 and 2017. In return, hundreds of animals have been killed in defence or retaliation. An international panel of human wildlife conflict and technology experts chose the two winning applications from 47 innovative ideas originating from 14 countries. The first winning proposal comes from the ShadowView Foundation and is aimed at reducing conflicts between people and elephants. The other winning proposal comes from Alasdair Davies, who designed a system of infrared heat sensors able to detect specific animal species which alerts people nearby in case of danger. 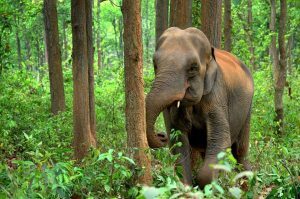 Laurens de Groot and Tim van Dam of the ShadowView Foundation designed a technology tool to monitor elephant behaviour and electric fences in Northeast-India. Their proposal for this challenge is based on the wireless LoRaWAN™ (Long Range Wide Area Network) telecommunication technology — a low-bandwidth, low-power networking technology that can blanket large areas at relatively low costs. The network provides coverage for state-of- the-art sensor applications that can detect animal presence and power leaks in electric fences that are being used to keep out elephants. Alarms linked to the sensors alert people by setting off buzzer flashlights or sending SMS messages, to warn villagers when a fence has been damaged or broken by elephants. The winning solution is based on ShadowView’s extensive experience with advanced sensor solutions in Africa, called ‘Smart Parks’. Smart Parks equips African game reserves with private LoRa® network structures and latest sensor technology, hereby efficiently protecting and monitoring wildlife, people and infrastructure. In addition to the funds raised with this Challenge, ShadowView is actively seeking support for their Smart Parks solutions in Africa. To help them save African wildlife donate here. Both proposals will be tested in India in 2018. Since the proposals are complementary and can reinforce each other’s effectiveness the developers are encouraged to collaborate. The developments around the field testing in 2018 can be followed on the WILDLABS website. "This new technology is limitless, simplified and cost effective. Its application in Akagera National Park has significantly improved the logistical management of vehicle fleets, staff in the field and given a better live picture of the on goings in the park from a distance. The most exciting aspect of this is the improved security this system adds for key species of wildlife and the growing tourism numbers. This is potentially a game-changing application for conservation efforts in Africa. - Jes Gruner, African Parks"